In 1994, Dolly published her first book, an autobiography, “Dolly: My Life and Other Unfinished Business” on the HarperCollins imprint. The book recounts her childhood growing up poor in the foothills of the Great Smoky Mountains of Tennessee and talks about her music, religion, marriage and many other aspects of her life like her opinions about plastic surgery and her larger-than-life persona. Dolly’s incredible personality was a big part of the promotional tour for the book. she says, her blue-green eyes widening for emphasis. 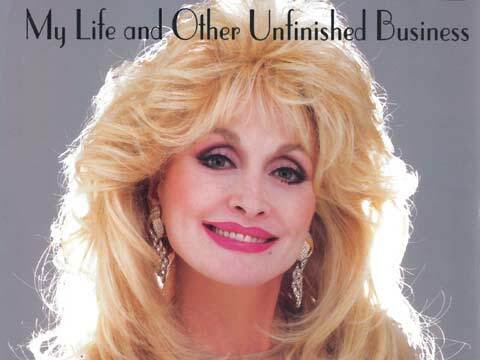 “Dolly: My Life and Other Unfinished Business” reached the New York Times Bestseller list and stayed there for two months.